Oh, yes. I want this book so badly even though so many people called it to cliché. 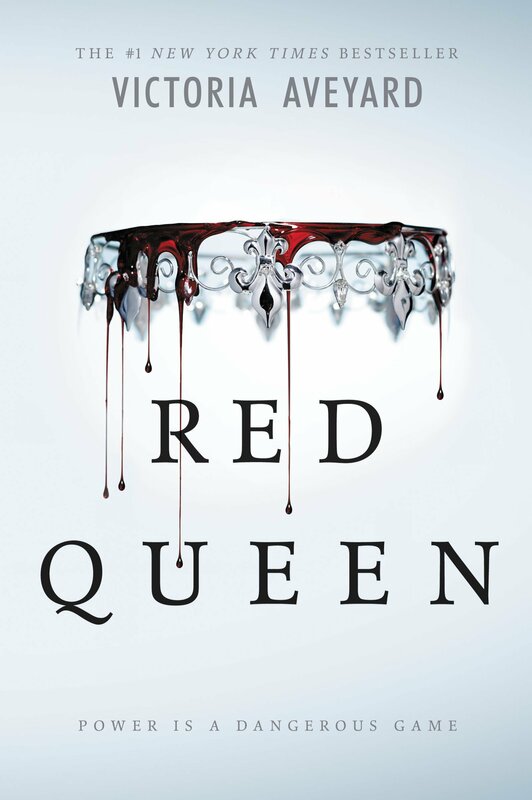 If you haven’t read The Red Queen you should definetively check it out. “Mare Barrow’s blood is red—the color of common folk—but her Silver ability, the power to control lightning, has turned her into a weapon that the royal court tries to control. “What if you were the spark that could ignite a revolution? When Laia’s brother is taken she must force herself to help the Resistance, the only people who have a chance of saving him. She must spy on the Commandant, ruthless overseer of Blackcliff Academy. Blackcliff is the training ground for Masks and the very place that Elias is planning to escape. If he succeeds, he will be named deserter. If found, the punishment will be death. Phuuu, this book was something! It started out as confusing as it ended but I liked it. 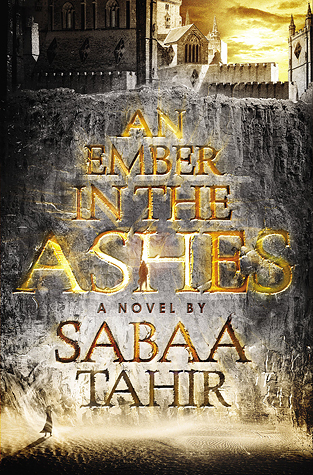 Firstly, the way of writing is pretty good, you get a sense of all the brutality and violence surrounding the main characters Laia and the Mask Elias. It reminded me very strongly of “The Young Elites” just with more violence and a significant part missing: Hope. I searched for it but everything the characters do or survive or live through seems to be … meaningless. 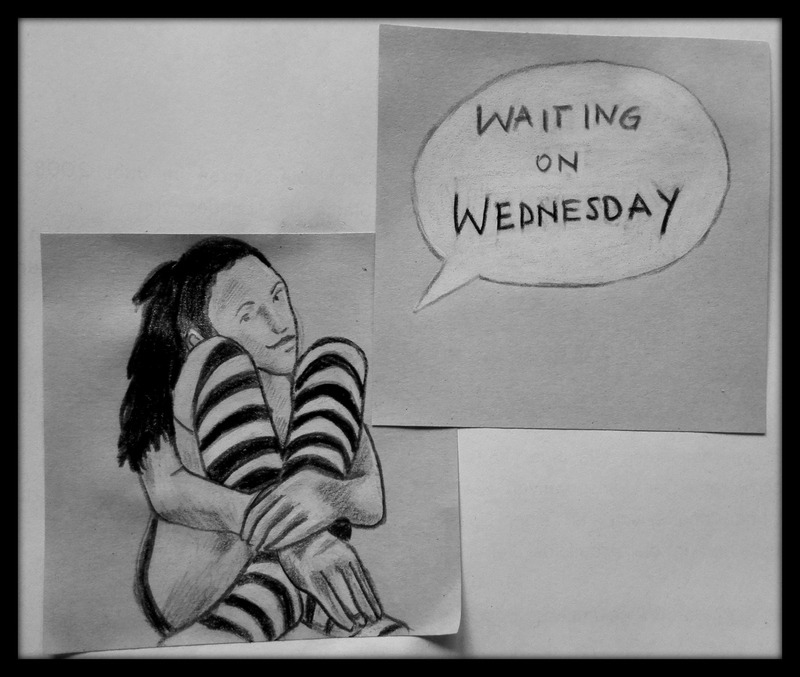 There is just more blood, more desperation waiting for them (Okay, except the last ten pages). This is the reason why I’ll take one star away from my rating – Hope should be worked into the story as an underlining common thread. 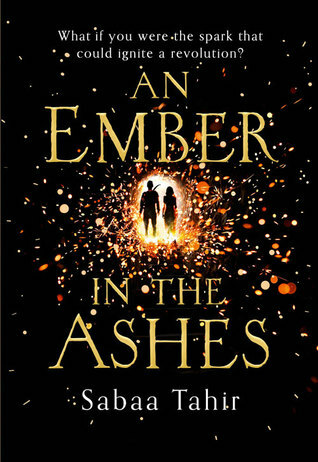 Yes, clearly, I’ve enjoyed the read (to stay awake until 2am to finish this book is an obvious indication), but I’ve never seen the hope Elias and Laia are definitely having (everyone has hopes, right?) until the very end. Never mind this disappointing flaw – everything else was superb. The brutality, the violence and the creepy ruler ship of that “Empire” scared the crap out of me (Even though I didn’t fully understand this political system…). … and I loved that delicate romance going on between those very fascinating characters of Elias, Hel, Laia and that red-haired Resistance-boy (I forgot the name. He wasn’t that interesting I suppose). Also, Laia really learned so much in that “short” time. At the beginning she was a coward but she managed to survive a brutal master and much more brutal treatment. I like strong characters that start out weak. It’s realistic that you’re scared and have to learn to become brave. So, thumbs up for this one! Dieses Buch hat mich wirklich sprachlos zurückgelassen und ich bin mir noch immer nicht sicher, ob das gut oder schlecht ist. Meine Eindrücke sind noch frisch, denn ich habe dieses wunderliche Werk vor gerade mal einigen Minuten zur Seite gelegt. Aber erstmal von vorne anfangen, eine Zusammenfassung ist sicherlich hilfreich. Ich wollte eigentlich nur mal reinstöbern, ein Gefühl für die Geschichte kriegen, aber als ich die ersten Seiten durchgelesen hatte, gab es kein Halten mehr. Der Schreibstil ist flüssig und wirklich gut, genau so wie die Charaktere. Ich konnte mitfühlen (tue es immer noch, ich glaube ich befinde mich in einem Trauma-ähnlichem Zustand) und war genau so verzweifelt, wütend oder bodenlos entsetzt wie die Hauptperson, Mare. Zwar hat man als geübter Leser, wenn ich das mal so sagen darf, immer ein Gespür dafür entwickelt, bei welchen Personen man Gänsehaut kriegt und denen mal definitiv nicht trauen kann, aber ich war trotzdem entsetzt, als sich meine Vermutung bestätigte. Wer hier eine cheesy Liebesgeschichte erwartet, den muss ich enttäuschen. Natürlich spielen die Beziehungen der Prinzen und Mare eine große Rolle, aber es wird deutlich klar, dass die nicht im Vordergrund steht wie bei “The Selection” beispielsweise. Viele hatten geschrieben, sie fühlen sich durch die Geschichte auch stark an die “Hunger Games” oder die “Selection”-Reihe erinnert, und ich kann zumindest für letzteres auf jeden Fall den Grund sehen. Das, was Kiere Cass absolut außer Acht gelassen hat und was auch die größte Schwäche dieser Reihe war: Die Politik, die tatsächlichen Lebensumstände, Revolution und viel tiefgründigere Charaktere. 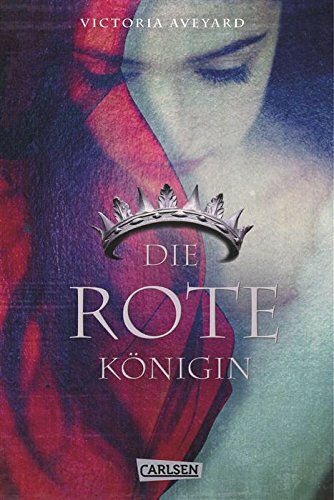 Jetzt bin ich durch mit dem Buch, werde den zweiten Teil auf jeden Fall lesen, aber ich fühle mich genau so hilflos und furchtbar entsetzt zurückgelassen wie mit Marie Lu’s The Young Elite. Die Geschichte beginnt fast unschuldig, ein Land im Krieg, ein Land mit einer monarchischen Ordnung und ein Mädchen, dass einiges verändern kann. … Und dann kommt der Punkt wo eigentlich nur noch alles kollabiert und es gab nichts, was man hätte dagegen tun können. Ich bin furchtbar gespannt wie Aveyard das alles auflösen wird, denn Beziehungen, Freundschaften und Vertrauen ist wichtig und darüber will man auch lesen, aber hier wurde man in Verzweiflung und Trümmern zurückgelassen. This impression is as fresh as it could be, because I finished the book just minutes ago. And I’m really torn, I have a revival of the feeling connected with Marie Lu’s The Young Elite. I really wanted to like this book … and I think I do. And at the same time I don’t. However, first of all you need a summary to know what the story is about. “Mare Barrow’s world is divided by blood—those with common, Red blood serve the Silver- blooded elite, who are gifted with superhuman abilities. Mare is a Red, scraping by as a thief in a poor, rural village, until a twist of fate throws her in front of the Silver court. Before the king, princes, and all the nobles, she discovers she has an ability of her own. This book is good stuff. Technically, I just wanted to read a few pages to get a feeling for the story, because there are some other books I didn’t finish yet. Forget it. After reading about five pages, the story got me. I love the style of writing and I really love the main characters, Mare and everyone else on the Royal Court. The reader is introduced to a country, where separation, hunger and poverty are the daily life’s of the “Red” (red blooded people, basically they’re slaves) and the “Silver”, superhumans with silver blood who are cruel and hungry for power. The few reviews I skimmed for this book compare it often to the “Hunger Games” or the “Selection”-Novels. I don’t think that’s true, nothing in this book (except for the word “Arena” and some fights) reminds me of Suzanne Collins books, but the “Selection”-Novels is another thing. 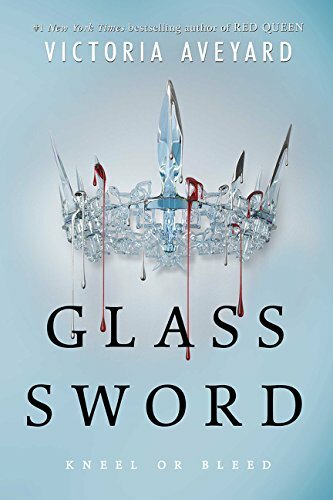 I feel as if this book is the actual “Selection”-novel, but not with cheesy love stories, where no politics or rebels, cruelty, loss and a lot of blood is discussed, while Victoria Aveyard did everything right. Our main character, Mare, isn’t indecisive and flat as America, she’s strong and willing to do what it takes to free her people. But there is a lot of despair and damage involved and that’s why it reminds me more of the “Young Elites” than of the Hunger Games. Please don’t expect a story just concerning a teenie love triangle; this book is so much more. This world is created as real and threatening as possible, there is no nice palace to hide in, there are just enemies who are watching every step you make. I SO recommend this book. If you read the “Selection” and were missing a big part – READ THIS! If you liked the Hunger Games, the Young Elite or at least something not so “sunshine and roses”, this is definitively the book for you! Images via here and here and here and here.